Last night I watched the documentary, Kumare, on Netflix downstreaming. Vikram Gandhi, a 2nd-generation Indian man living in New Jersey wondered about religion, gurus and their authenticity. He searched America and then traveled to his ancestral homeland of India only to find what he felt were “false prophets,” espousing what he already knew. So, he decided to pose as a guru himself, learn yoga, meditation, and see if he could find a following in Arizona. Well, he did. What he espoused was that he, Kumare, was an illusion, and that the guru was within each one of his disciples. 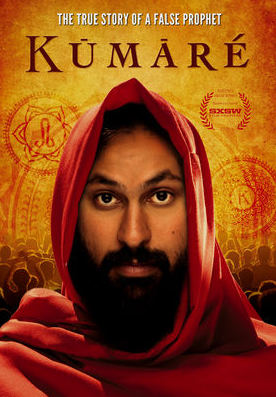 While it almost made a joke of all things new age and spiritual, such as the psychic who saw him as a guru in many past lives, Kumare made a positive impact on everyone he met. He used age-old methods that all Indian gurus have used – yoga, meditation, visualization. And a powerful practice was having his disciples tell him what 5 things he needed to do (as if talking to themselves). Well, they all took their own advice and did what they told him to do.